As reported by Picosun today : Picosun Oy, the leading manufacturer of high quality Atomic Layer Deposition (ALD) equipment, extends its solution portfolio into functional ALD coatings for novel, ecological catalyst materials. Picosun's ALD technology enables optimized deposition of catalytically active metals on simple, cost-efficient supports such as metal oxide or polymer powders, thus realizing highly efficient catalytic function with only a fraction of cost compared to traditional catalyst technologies. As a tightly contained and controlled gas-phase process, ALD also eliminates the risks of typical wet chemistry methods such as leaks, environmental contamination, and material waste. "The now developed catalyst technology on powder substrates is an invaluable addition to our extensive ALD solution portfolio. There is a significant market for Picosun's ALD expertise in the field of chemical and pharmaceuticals manufacturing. In addition to these industries, our optimized powder coating methods can outperform current solutions for example in the automotive industries and in the next generation lithium ion thin film battery manufacturing," summarizes Juhana Kostamo, Managing Director of Picosun. 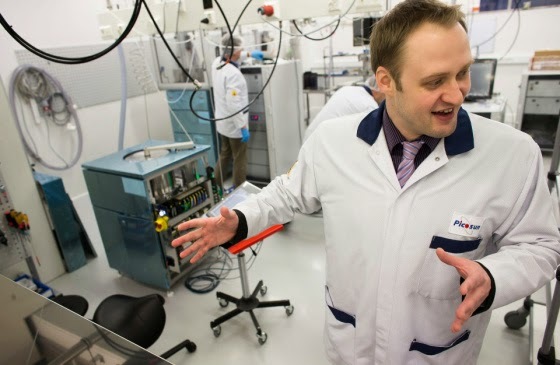 The development work for ALD-enabled catalyst manufacturing was realized within the frame of European Union 7th Framework project POLYCAT ("Modern polymer-based catalysts and microflow conditions as key elements of innovations in fine chemical synthesis"), running from October 2010 to April 2014. 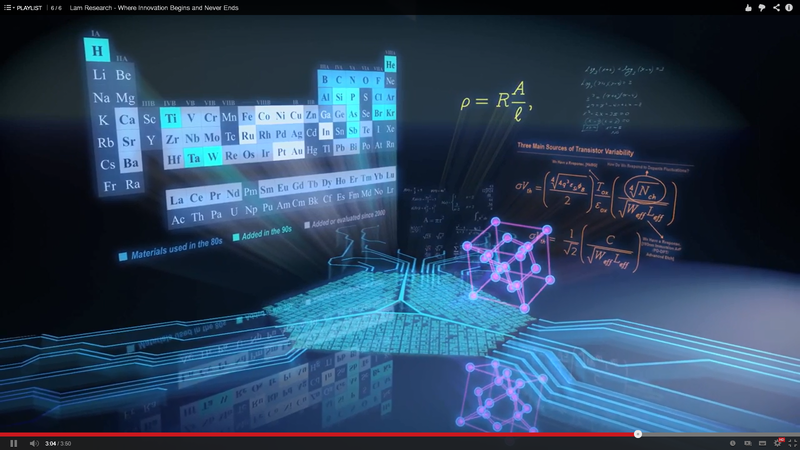 Nice promotion video from Lam Research - See how innovative technology has changed our lives. 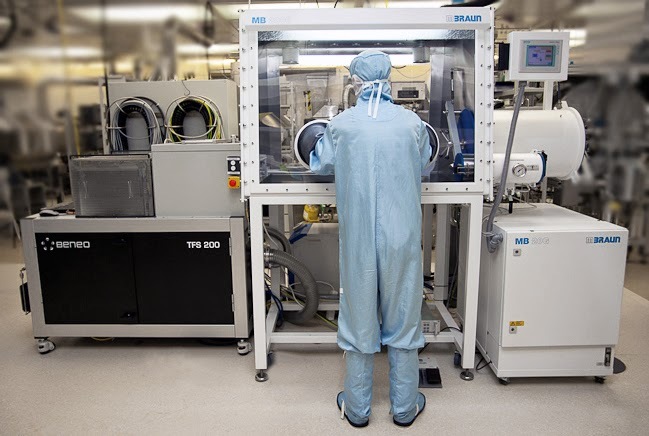 See how Lam's capital equipment and services have enabled the breathtaking rate of advancement in the semiconductor industry. 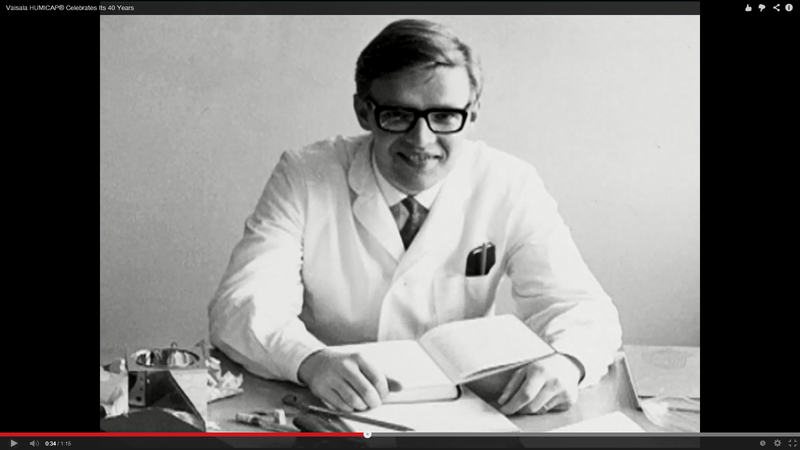 Below you can watch a video clip about the birth of HUMICAP®. More information on the Vaisala HUMICAP® for downloead here. This celebration was really last year (2013). More information and other stories from Finland will be presented at the exhibition "40 Years of ALD in Finland". General celebration the Baltic ALD conference 2014, May 12-13, Helsinki, Finland (Twitter tag #FinALD40). "The conference is a continuation of a series of meetings that started in 1991 in Espoo as a Helsinki University of Technology – Tartu University ALE symposium, followed by a symposium in Tartu in 1993. In 1995 the meeting was organized by University of Helsinki and at that time the name was broadened to Baltic ALE symposium. In 1997 in Tartu it adopted its present name and has subsequently circled around the Baltic Sea in Uppsala, Oslo, Warsaw and Hamburg besides Finland and Estonia. The present conference also celebrates 40 years of ALD technology as it was in 1974 when Dr. Tuomo Suntola and collaborators began their seminal work that made ALD a valuable industrial technology, first for electroluminescent display production and later for microelectronics and ever increasing other application areas." Toshiba Corporation announced that it has developed the world's first 15-nanometer (nm) process technology, which will apply to 2-bit-per-cell 128-gigabit (16 gigabytes) NAND flash memories. 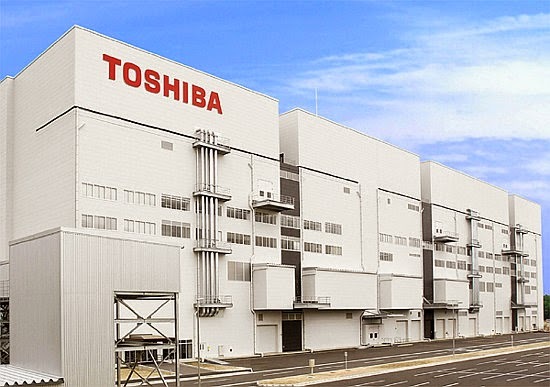 Mass production with the new technology will start at the end of April at Fab 5 Yokkaichi Operations, Toshiba's NAND flash fabrication facility (fab), replacing second generation 19 nm process technology, Toshiba's previous flagship process. The second stage of Fab 5 is currently under construction, and the new technology will also be deployed there. 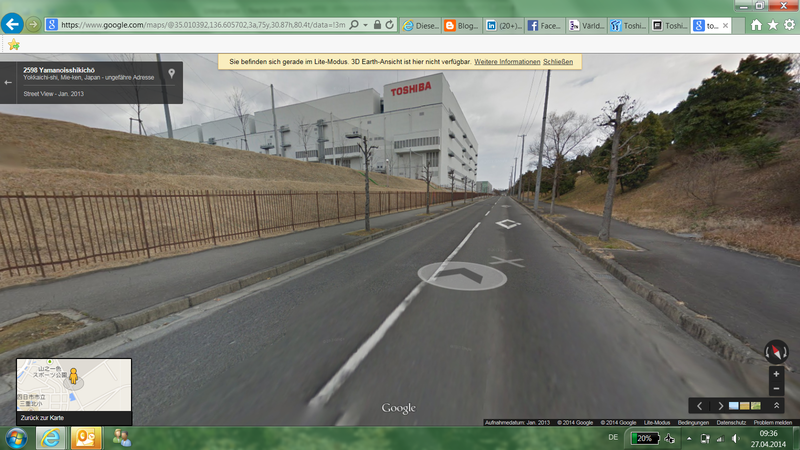 If you want to take a visit Google Street View offers excellent view from the Toshiba site in Yokkaichi. Just tune in here in this intersection take a right turn and enjoy the drive : Toshiba Fab 5. Screendump from Google Street View just upfront of Toshiba Fab 5 in Yokkaichi. 陈杨胤, researcher at imec) and other social media and has been shared a great deal. 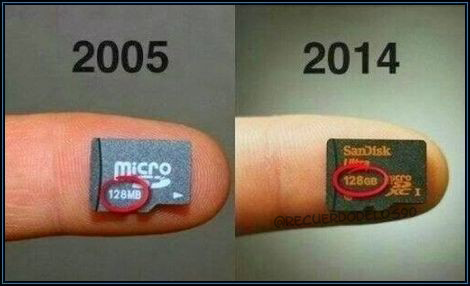 Naturally there has been comments and questions if it will go on on heading for 128 terabit NAND flash memory 2025 or so. 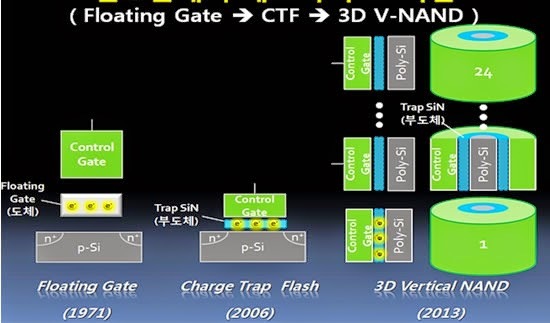 "An industry first, it represents a breakthrough in overcoming the density limit currently facing the planar NAND architecture and floating gates used in conventional flash memory, as well as yielding speed and endurance"
Check out the promo video from Samsungs YouTube channel below. A new Atomic Layer Deposition (ALD) Suite, installed in the Department of Chemistry this week, will allow researchers to deposit thin films of molecules onto surfaces with greater precision than ever before. Technicians and staff from Beneq, who manufactured the equipment, have been working with Dr Andrew Johnson and Professor Michael Hill to deliver the new facility. They have trained three DTC PhD students alongside post-doctoral researcher Dr Jeff Hamilton in a series of new ALD techniques using the equipment. ALD involves depositing ultra-thin layers of material, using either plasma or thermal deposition methods. The device is also integrated with a Quadrupole mass analyzer, which will enable close monitoring of deposition products and processes. Usage Policies for Cambridge Nanotech ALD System and standard policies for usage. 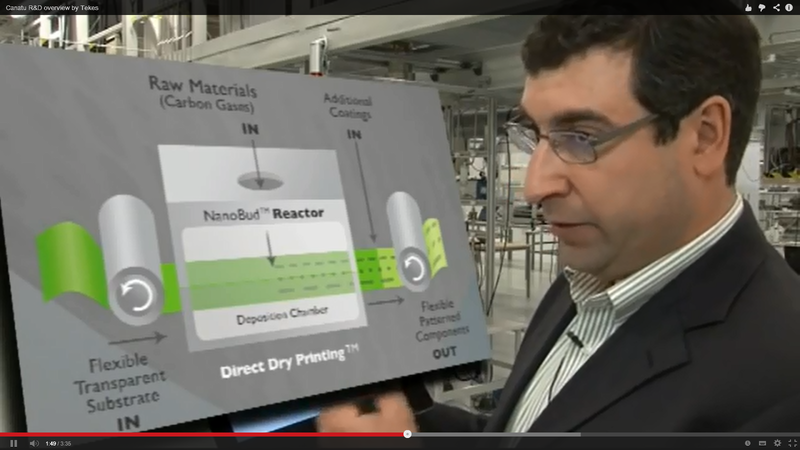 This document provides the standard operation procedure of the Cambridge Nanotech ALD. System in the INRF cleanroom at UCI. The ALD system allows to deposit Al2O3 and HfO2 thin films atomic layer by layer onto silicon based substrate. This tool is equipped with high-speed pneumatic pulse valves to enable our unique Exposure Mode™ for thin film deposition on Ultra High Aspect Ratio substrates. This proven precision thin film coating methodology can be used to deposit conformal, uniform films on substrates with aspect ratios of greater than 2000:1. This system is equipped with heated precursors lines and the option to add up to six precursor lines. View the SOP documentation or check out the great instruction movie below. Full story can be found in this press release and check out the video below. As reported by EE Times: Ultracapacitors, also called supercapacitors, serve as temporary energy storage that can quickly charge and discharge for everything from regenerative brakes in electric vehicles to cordless power tools that recharge in 90 seconds to stabilizing computer power supplies. Now researchers at George Washington University's Micro-Propulsion and Nanotechnology Laboratory report that superior ultracapacitors can be constructed from an inexpensive hybrid composite of graphene flakes mixed with single-walled carbon nanotubes. Prototype of an ultracapacitor device based on carbon nanostructures. In this paper, a paper-based ultracapacitors were fabricated by the rod-rolling method with the ink of carbon nanomaterials, which were synthesized by arc discharge under various magnetic conditions. Composites of carbon nanostructures, including high-purity single-walled carbon nanotubes (SWCNTs) and graphene flakes were synthesized simultaneously in a magnetically enhanced arc. These two nanostructures have promising electrical properties and synergistic effects in the application of ultracapacitors. Scanning electron microscope, transmission electron microscope, and Raman spectroscopy were employed to characterize the properties of carbon nanostructures and their thin films. The sheet resistance of the SWCNT and composite thin films was also evaluated by four-point probe from room temperature to the cryogenic temperature as low as 90 K. In addition, measurements of cyclic voltammetery and galvanostatic charging/discharging showed the ultracapacitor based on composites possessed a superior specific capacitance of up to 100 F/g, which is around three times higher than the ultracapacitor entirely fabricated with SWCNT. Recently, a new approach to atomic layer deposition (ALD) has been developed that doesn't require vacuum and is much faster than conventional ALD. This is achieved by separating the precursors in space rather than in time. This approach is most commonly called Spatial ALD (SALD). In our lab we have been using/developing a novel atmospheric SALD system to fabricate active components for new generation solar cells, showing the potential of this novel technique for the fabrication of high quality materials that can be integrated into devices. In this minireview we will introduce the basics of SALD and illustrate its great potential by highlighting recent results in the field of photovoltaics. To progress from the laboratory to commercial applications, it will be necessary to develop industrially scalable methods to produce large quantities of defect-free graphene. Trinity College Dublin Ireland show that high-shear mixing of graphite in suitable stabilizing liquids results in large-scale exfoliation to give dispersions of graphene nanosheets. Or as The Daily Mail puts it "How to make a supermaterial in the sink: Scientists find washing up liquid and a blender can be used to make graphene"
To progress from the laboratory to commercial applications, it will be necessary to develop industrially scalable methods to produce large quantities of defect-free graphene. Here we show that high-shear mixing of graphite in suitable stabilizing liquids results in large-scale exfoliation to give dispersions of graphene nanosheets. X-ray photoelectron spectroscopy and Raman spectroscopy show the exfoliated flakes to be unoxidized and free of basal-plane defects. We have developed a simple model that shows exfoliation to occur once the local shear rate exceeds 104 s−1. By fully characterizing the scaling behaviour of the graphene production rate, we show that exfoliation can be achieved in liquid volumes from hundreds of millilitres up to hundreds of litres and beyond. The graphene produced by this method performs well in applications from composites to conductive coatings. This method can be applied to exfoliate BN, MoS2 and a range of other layered crystals. As reported by Solid State Technology : "Researchers from LG Electronics (LG) and Swiss university ETH Zurich (Swiss Federal Institute of Technology Zurich) have developed a method to greatly increase the speed and efficient transmission of gas, liquid and water vapor through perforated graphene, a material that has seen an explosion of scientific interest in recent years. The findings open up the possibility in the future to develop highly efficient filters to treat air and water. [...] developed a reliable method for creating 2D membranes using chemical vapor deposition (CVD) optimized to grow graphene with minimal defects and cracks to form graphene layers thinner than 1nm (nanometer). Using a focused ion beam (FIB), the researchers then drilled nanopores in double layers of graphene to produce porous membranes with aperture diameters between less than 10nm and 1µm (micrometer). Testing various sized perforations, the researchers found that their graphene membrane resulted in water permeance five- to sevenfold faster than conventional filtration membranes and transmission of water vapor several hundred times higher compared to today’s most advanced breathable textiles such as Gore-Tex." A two-dimensional (2D) porous layer can make an ideal membrane for separation of chemical mixtures because its infinitesimal thickness promises ultimate permeation. Graphene—with great mechanical strength, chemical stability, and inherent impermeability—offers a unique 2D system with which to realize this membrane and study the mass transport, if perforated precisely. We report highly efficient mass transfer across physically perforated double-layer graphene, having up to a few million pores with narrowly distributed diameters between less than 10 nanometers and 1 micrometer. The measured transport rates are in agreement with predictions of 2D transport theories. Attributed to its atomic thicknesses, these porous graphene membranes show permeances of gas, liquid, and water vapor far in excess of those shown by finite-thickness membranes, highlighting the ultimate permeation these 2D membranes can provide. 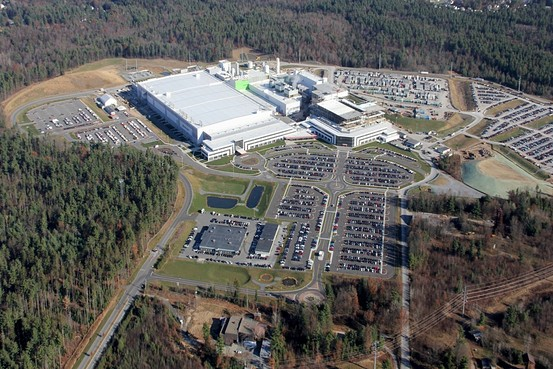 Recently Samsung and Globalfoundries announced an agreement between the two companies would see Samsung develop a 14nm process node and license it to Globalfoundries. 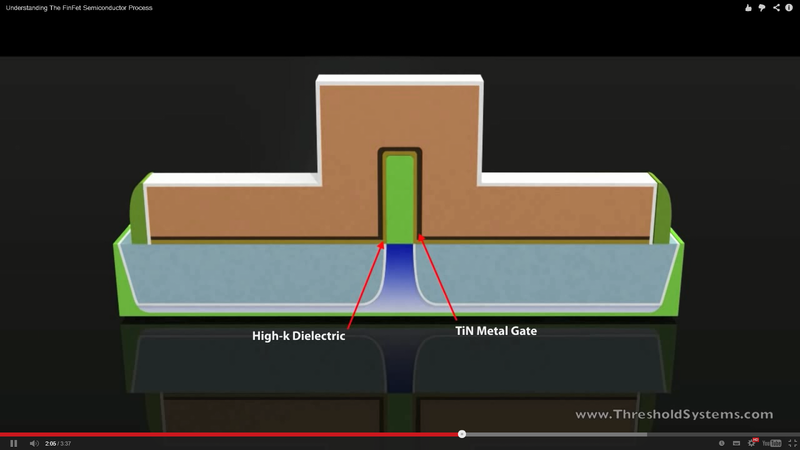 Screendump showing the ALD high-k dielectric and TiN metal gate wrapping the fin conformally. Han-Yang University held ‘10th Korean ALD Workshop’ at Baek-Nam Acedemy Information Center 6th Fl. International Conference Room, Seong-Dong Gu, Seoul. ALD is one of the technologies we the Koreans are leading in the semiconductor material fields and the technology of our ALD tools and material technologies are recognized worldwide. "I have hosted this important workshop last 10 years. This year the attendees were over 300 and Hall was very crowded and there were 8 invited speakers and Steve and Greg were among them." said Professor Jeon at Han-Yang University. And the other internationally known experts. 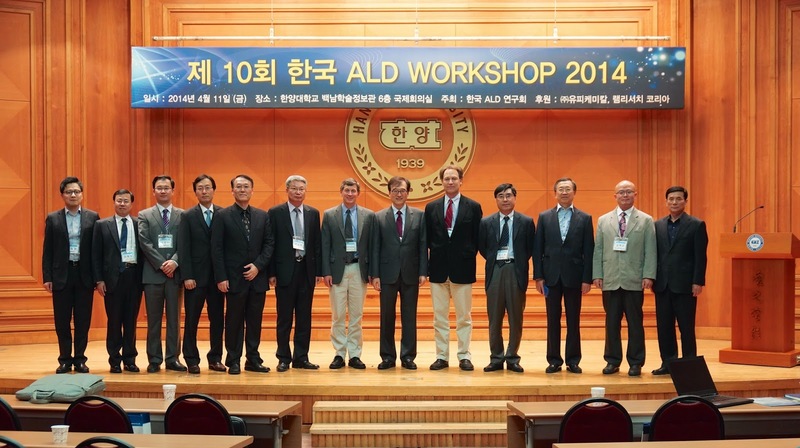 Invited speakers to the 10th Korean ALD Workshop including: Greg Parsons, Professor of North Carolina State University, Steven George, Professor of Colorado University, Ki-Bum Kim, Professor of Material Engineering, Seoul National University, Si-Woo Lee, Professor of Chemical Engineering, Postech (Picture from organizer Prof. Jeon Professor Jeon at Han-Yang University). Researchers at Penn State's Center for 2-Dimensional and Layered Materials and the University of Texas at Dallas have shown the ability to grow high quality, single-layer materials one on top of the other using CVD (chemical vapor deposition). Furthermore, they have demonstrated growth and stacking 2D materials MoS2, WSe2, and hBN on epitaxial graphene by CVD. Read more at Nanowerk: Making new materials an atomic layer at a time or in the publication below. The stacking of two-dimensional layered materials, such as semiconducting transition metal dichalcogenides (TMDs), insulating hexagonal boron nitride (hBN), and semimetallic graphene, has been theorized to produce tunable electronic and optoelectronic properties. Here we demonstrate the direct growth of MoS2, WSe2, and hBN on epitaxial graphene to form large-area van der Waals heterostructures. We reveal that the properties of the underlying graphene dictate properties of the heterostructures, where strain, wrinkling, and defects on the surface of graphene act as nucleation centers for lateral growth of the overlayer. Additionally, we show that the direct synthesis of TMDs on epitaxial graphene exhibits atomically sharp interfaces. Finally, we demonstrate that direct growth of MoS2 on epitaxial graphene can lead to a 103 improvement in photoresponse compared to MoS2 alone. In a recent blog post here reported about KAIST and others presented "ALD Assisted Pattern Multiplication of Block Copolymer for 5 nm Scale Nanopatterning". There seems to be no end to this topic here is a more full coverage in the form of a review paper "Three-Dimensional Nanofabrication using Block Copolymer Self-Assembly" [Free to download - thank you very much indeed!] work by KAIST. Thin films of block copolymers are widely seen as enablers for nanoscale fabrication of semiconductor devices, membranes, and other structures, taking advantage of microphase separation to produce well-organized nanostructures with periods of a few nm and above. However, the inherently threedimensional structure of block copolymer microdomains could enable them to make 3D devices and structures directly, which could lead to effi cient fabrication of complex heterogeneous structures. This article reviews recent progress in developing 3D nanofabrication processes based on block copolymers. Check out this great page with access to most of the papers from The Functional Nanofabrication Lab at KAIST as free download - FUNNANO! In a press release on April 15, 2014, Beneq announced that it is joining forces with MBRAUN to address the growing OLED market needs by offering turn-key R&D solutions. The goal is to enforce rapid adaptation of Beneq’s breakthrough thin-film encapsulation technology in OLED research and manufacturing. Beneq and MBRAUN currently have a mutually supportive offering, which will allow customers to get a wider portfolio of products and services from a single source. These products are primarily targeted to those customers with sophisticated needs in OLED research, especially in the area of thin-film encapsulation. For each customer need, Beneq and MBRAUN will work together to tailor products and services that best meet the specific clean environment requirements in question. Beneq and MBRAUN are joining forces to boost thin film encapsulation for OLED research and manufac-turing. Picture: Beneq. More details can be found here in this slide share file. Advanced gate stacks with high dielectric constant materials (high-k) for complementary metal-oxide-semiconductor (CMOS) and memory applications in sub-22 nm feature size integrated circuits have been a subject of intense research in recent years. The main focus of the forthcoming special issue is to present a comprehensive overview to our readers by assembling state-of-the-art research articles and reviews on processing and characterization of high-k gate material. The topics covered by this special issue include high-k materials and deposition methods; Deposition on high-mobility substrate such as Ge, GaAs, and other III-V compounds; Interface passivation of substrate/high-k interface; Reliability of high-k material; Characterization techniques and Application to non-volatile memory systems. I fresh publication from KAIST and Pusan National University in Korea on pattern multiplication a.k.a. double or multiple patterning using ALD realizing 5nm(!!!) scale patterning. Hyoung-Seok Moon, Ju Young Kim, Hyeong Min Jin, Woo Jae Lee, Hyeon Jin Choi, Jeong Ho Mun, Young Joo Choi, Seung Keun Cha, Se Hun Kwon, and Sang Ouk Kim. Abstract: 5-nm-scale line and hole patterning is demonstrated by synergistic integration of block copolymer (BCP) lithography with atomic layer deposition (ALD). While directed self-assembly of BCPs generates highly ordered line array or hexagonal dot array with the pattern periodicity of 28 nm and the minimum feature size of 14 nm, pattern density multiplication employing ALD successfully reduces the pattern periodicity down to 14 nm and minimum feature size down to 5 nm. Self-limiting ALD process enable the low temperature, conformal deposition of 5 nm thick spacer layer directly at the surface of organic BCP patterns. This ALD assisted pattern multiplication addresses the intrinsic thermodynamic limitations of low χ BCPs for sub-10-nm scale downscaling. Moreover, this approach offers a general strategy for scalable ultrafine nanopatterning without burden for multiple overlay control and high cost lithographic tools. 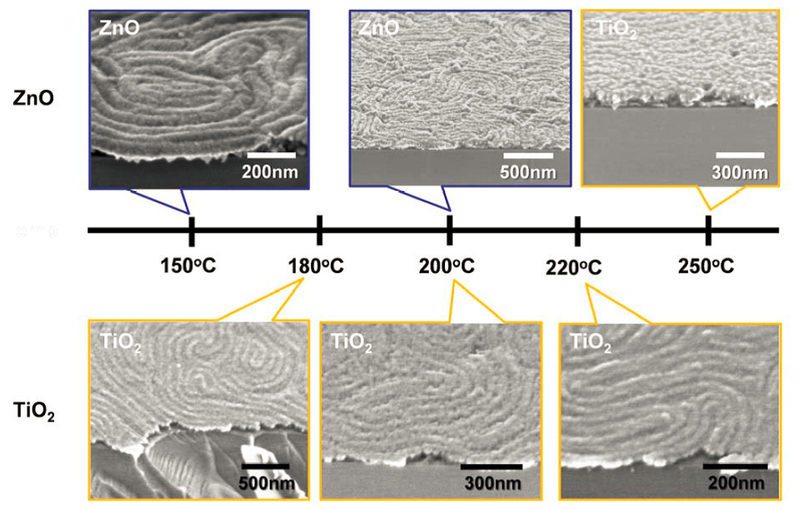 SEM images of metal oxide films deposited onto BCP nanotemplate surfaces by ALD at various deposition temperatures (from supporting information WILEY-VCA Verlag). Azonano.com reports today on a "Novel Scalable Method for Producing One-Atom-Thick Layers of Molybdenum Diselenide" published by Rice University USA and Nanyang Technological University in Singapore. 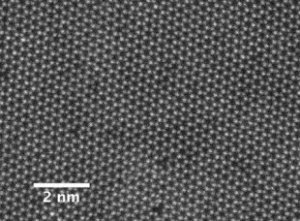 A scalable method for making one-atom-thick layers of molybdenum diselenide. The results are also reported in a press release by Rice University including downloads to released material. Abstract: Ternary two-dimensional dichalcogenide alloys exhibit compositionally modulated electronic structure, and hence, control of dopant concentration within each individual layer of these compounds provides a powerful tool to efficiently modify their physical and chemical properties. The main challenge arises when quantifying and locating the dopant atoms within each layer in order to better understand and fine-tune the desired properties. Here we report the synthesis of molybdenum disulfide substitutionally doped with a broad range of selenium concentrations, resulting in over 10% optical band gap modulations in atomic layers. Chemical analysis using Z-contrast imaging provides direct maps of the dopant atom distribution in individual MoS2 layers and hence a measure of the local optical band gaps. Furthermore, in a bilayer structure, the dopant distribution is imaged layer-by-layer. This work demonstrates that each layer in the bilayer system contains similar local Se concentrations, randomly distributed, providing new insights into the growth mechanism and alloying behavior in two-dimensional dichalcogenide atomic layers. The results show that growth of uniform, ternary, two-dimensional dichalcogenide alloy films with tunable electronic properties is feasible. 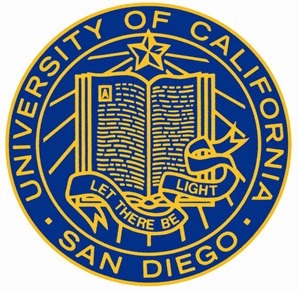 UC San Diego has developed ALD process for superconducting tunnel junctions. According to a report: Researchers from UC San Diego have developed a new process for fabricating high quality tunnel barriers in NIS and SIS tunnel junctions. Specifically, the inventors have demonstrated a large area superconducting tunnel junction using atomic layer deposition (ALD) to form a high quality insulating tunnel barrier. • Epitaxial deposition using ALD eliminates defects that previously prevented commercial viability of this technology. • Application of ALD to create tunnel junction barriers allows the barrier thickness to be precisely tuned down to 0.02nm, allowing for further improvements in device properties. • High quality tunnel barriers can be deposited on materials that do not natively oxidize. • Tunnel junction cryogenic refrigerators, cryogenic thermometers, superconducting quantum computer bits (qubits). We demonstrate a technique for creating high quality, large area tunnel junction barriers for normal–insulating–superconducting or superconducting–insulating–superconducting tunnel junctions. We use atomic layer deposition and an aluminum wetting layer to form a nanometer scale insulating barrier on gold films. Electronic transport measurements confirm that single-particle electron tunneling is the dominant transport mechanism, and the measured current–voltage curves demonstrate the viability of using these devices as self-calibrated, low temperature thermometers with a wide range of tunable parameters. This work represents a promising first step for superconducting technologies with deposited tunnel junction barriers. The potential for fabricating high performance junction refrigerators is also highlighted. According to a press release: During the 24th FINETECH JAPAN, 16th – 18th April 2014 in Tokyo Japan, Canatu will exhibit and introduce its transparent conductive CNB™ Flex Film which is optimized for flexible, curved or wearable touch devices and displays. Canatu also introduces its latest 3D formed and in-molded transparent CNB™ touch sensors that will unleash design possibilities for new creative industrial designs. The next big thing in touch technology is flexibility and 3D forms. Flexible and 3D shaped touch displays and surfaces are expected to become mainstream within the next 2-5 years. This trend is driving the need for high quality multi-touch sensors that can be freely bent, formed, twisted and rolled. Technical video of folding tests where CNB™ films were locally folded with a 0.44 mm diameter and 25000 times with a 2 mm radius, with minimal change in electrical conductivity. This new genre of touch devices will change the face of consumer electronics! Canatu’s ground-breaking technology enables high performance touch sensors for complex flexible and 3D shaped touch-enabled electronics devices and provides consumer electronics and automotive industry with long-awaited design freedom. During the 24th FINETECH Japan we are proud to introduce our transparent conductive CNB™ Flex Film optimized for flexible, foldable, curved or wearable touch displays and touch devices. CNB™ Flex Film belongs to Canatu’s CNB™ Film product family consisting of transparent conductive CNB™ Hi-Contrast Film optimized for flat projected capacitive touch devices, CNB™ Flex Film optimized for wearable, flexible and foldable touch-enabled electronics devices and CNB™ In-Mold Film which is targeted for 3D capacitive touch surfaces in smart watches, white goods control panels, automobile centre consoles and dashboards, connected user interface devices, and mobile phones. CNB™ In-Mold Film is stretchable up to 100% and can be thermoformed and overmolded with standard industrial processes such as Film Insert Molding (FIM) or In-Mold Decoration (IMD). We will also showcase our latest demonstrators for 3D formed and in-molded transparent CNB™ touch sensors. The demonstrators prove that CNB™ sensors can be used in arbitrary 3D shapes and in touch applications that require high bending angles, sharp edges and deep stretch. 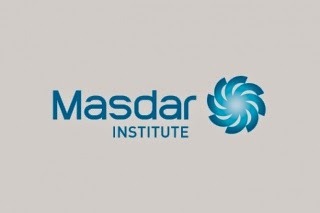 As reported by The National (UAE): Dr. Firas Sammoura, an assistant professor in microsystems engineering at the Masdar Institute an co-workers and Researchers at the University of California at Berkeley in the US, have achieved a breakthrough in improving supercapacitor capacitance. 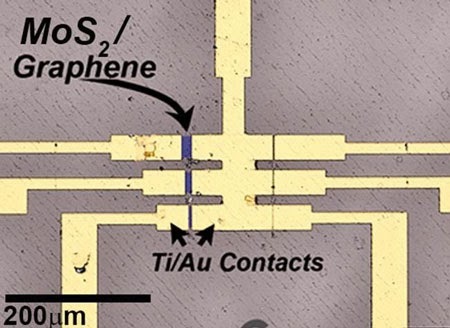 "We did this by utilising ruthenium oxide RuO2 – a pseudo-capacitive chemical compound that is able to quickly switch between its oxide and hydroxide states and can hold a large charge – and atomic layer deposition (ALD). ALD is an advanced method of coating a material by depositing it in thin films, one atomic layer at a time, allowing for the utmost control and uniformity of the coating. In our supercapacitor, the RuO2 layering takes place on carbon nanotubes that form the surface of the plate where the ions gather. The carbon nanotubes are spread on the plate like a shag-pile carpet, with many miniscule filaments of carbon greatly increasing its surface area. To achieve the desired capacitance of that carbon-nanotube plate, we then subject it to ALD of RuO2. This evenly coats each of the tiny nanotubes in a perfect layer of RuO2 – just enough to provide the necessary enhanced pseudo-capacitance, while not wasting expensive RuO2. The result is striking – a supercapacitor that can hold 50 times as much charge as the traditional technology. And it can provide that energy nearly without diminishing. We tested 10,000 cycles, with no loss of power or energy." 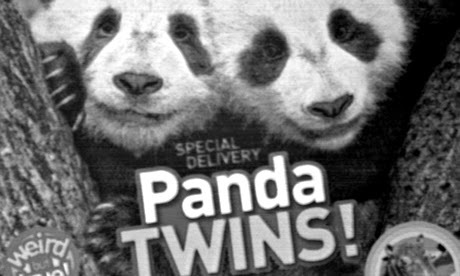 Fully story can be found here. 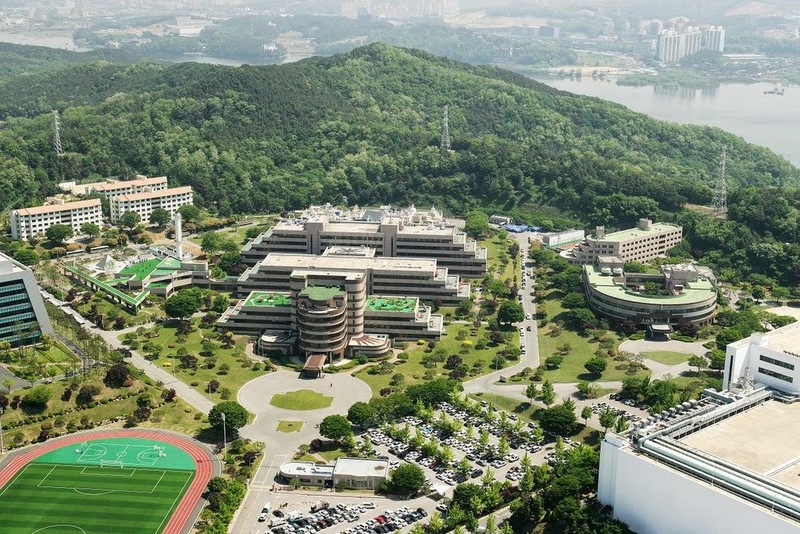 Samsung Advanced Institute of Technology and Sungkyunkwan University, publish results on wafer-scale growth of single-crystal monolayer graphene in Science. As reported today: A research team spanning the Atlantic Ocean is trying to unlock the energy potential in water under a new €1 million project that began last year. Comprising scientists at the Tyndall National Institute in Ireland and their partners in the US and Northern Ireland, the team is aiming to replicate photosynthetic energy generation using a combination of semiconductors and sunlight. Dubbed “RENEW” (short for Research into Emerging Nanostructured Electrodes for the Splitting of Water), the effort is led by Tyndall’s Martyn Pemble and Paul Hurley, along with Paul McIntyre at Stanford University in California and Andrew Mills at Queen’s University Belfast. They are the latest research team to try to imitate the way that leaves are able to generate energy by splitting water into hydrogen and oxygen. The project is part-funded – to the tune of $407,000 - by the US National Science Foundation (NSF). According to the NSF's project abstract, the RENEW team will look to replace expensive metals such as iridium or ruthenium used in photocatalysts with more Earth-abundant materials, in both single-junction and tandem photoelectrochemical cells. They will also look to minimize the amount of the expensive material needed in the catalysts by using atomic layer deposition and nanostructuring techniques. A new nanofabrication process for nano/micro-devices through the combination of inorganic nanomaterials from atomic layer deposition (ALD) on 3-dimensional organic polyimide substrates is developed. The first suspended ALD structures with multiple patterned suspended levels on the order of 10 nm are fabricated and results surrounding the mechanical stability of ultra-thin suspended structures are discussed.